Tart fresh rhubarb meets the warmth of spicy ginger in this gorgeous rhubarb and ginger oat crisp. Recently my sister gave me some beautiful pink rhubarb from her garden and I had originally planned to make this rhubarb and custard tea cake, but I really fancied making a fruit crisp for a change. A crisp is basically an American crumble. They often include oats in the recipe which I’m a big fan of – I love using oats in baking and they work particularly well in this recipe. The topping is SO good, the little crystallised ginger pieces work so well here. 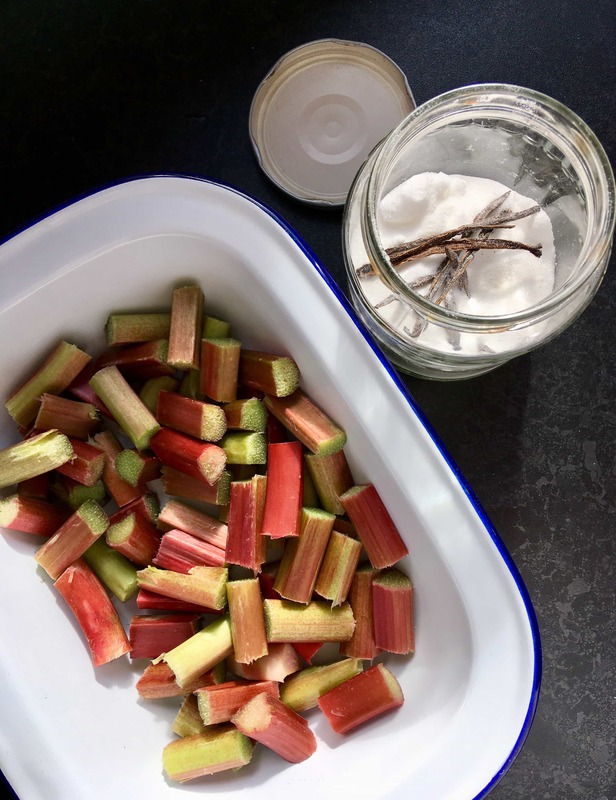 If you are a fan of the rhubarb ginger combination you are going to love this recipe! This pudding would be delicious with vanilla ice cream, thick double cream, clotted cream or custard, but I can also confirm that it is rather nice cold. I ate a bowl of this for breakfast today with a dollop of Rachel’s Organic ginger yoghurt. It wasn’t a bad way to start the day at all! 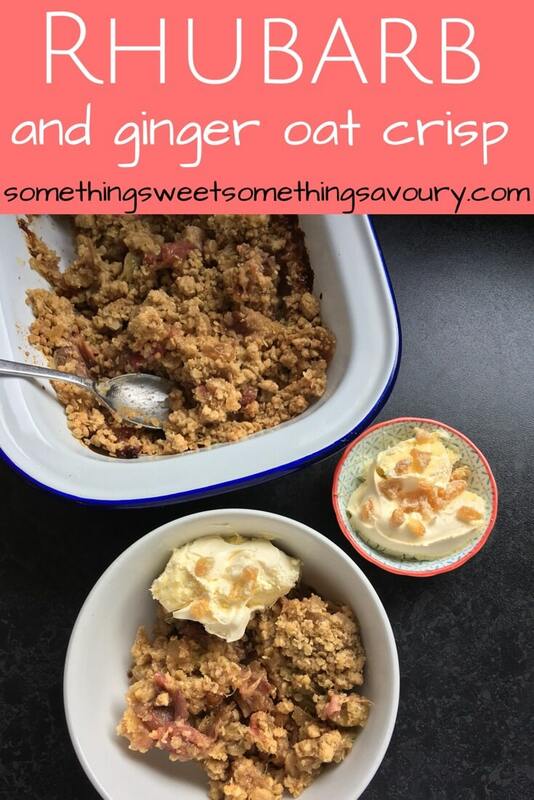 So without further ado, here’s my recipe for rhubarb and ginger oat crisp. I prebaked the rhubarb for about 20 minutes before adding the topping and it turned out perfect. Preheat the oven to 200C/375F /Gas 5. Place the chopped rhubarb in an ovenproof dish and sprinkle over the vanilla sugar. Place in the oven for 15-20 minutes or until the rhubarb is slightly tender. Place the flour, oats and sugar in a bowl. Rub in the butter until the mixture looks like breadcrumbs. Stir in the dried and crystallised ginger. Tip this mixture over the rhubarb and press down lightly, making sure the rhubarb is evenly covered. Bake for 30-35 minutes or until the filing is bubbling and the topping is nicely crisped up and starting to brown around the edges. Serve with custard, cream, ice cream or clotted cream. Sounds lovely, I love the combination of rhubarb and ginger.